Reactor testing starts later in October or in November. 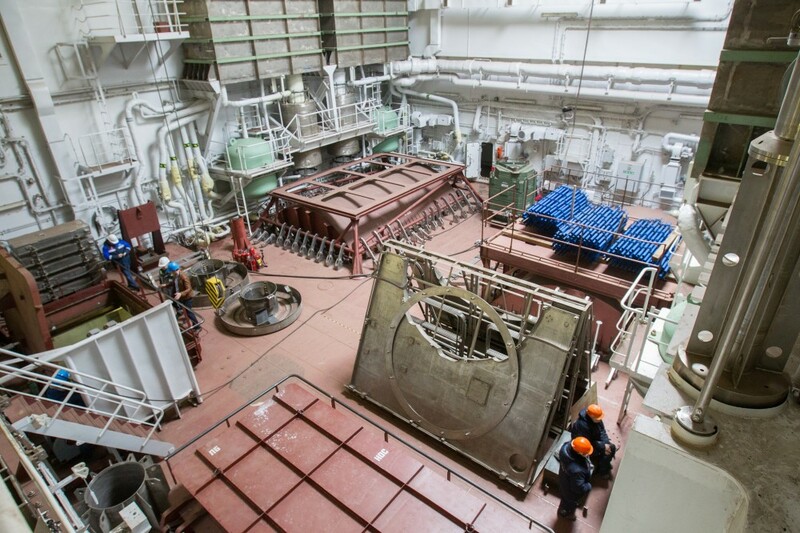 On October 2nd, the last fuel elements were loaded into the reactors of Russia’s first floating nuclear power plant. “The next key stage will be their criticality in October-November this year after corresponding permit is received from Rostechnadzor [Russia’s state nuclear regulator]. Then, the integrated berth trails will follow, which are necessary before the reactor is brought to design capacity,” says Vitaly Trutnev in a statement sent to the Barents Observer. Trutnev is Head of the Directorate for building and operation of the floating nuclear power plant. The plant “Akademik Lomonosov” is currently moored at Atomflot, Rosatom’s service base for nuclear powered icebreakers just north of Murmansk on the Kola Peninsula. After the two reactors are tested and approved, the plant will be towed from Murmansk across the Barents Sea and further northeast along the Northern Sea Route to Pevek on the Chukotka Peninsula where it will produce electricity for the remote Arctic town. Towing is supposed to happen next summer. Currently, needed construction of coastal infrastructure, hydraulic structures and on-shore facilities is carried out at the port in Pevek. The reactors on board the floating nuclear-power plant are a modernized version of reactors used on board the Russian civilian fleet of nuclear powered icebreakers. When in full operation, “Akademik Lomonosov” will replace the Bilibino nuclear power plant. Last year, it was decided to tow the floating nuclear power plant to Murmansk and do the reactor testing there instead of in St. Petersburg where the plant was built at the Baltiskiy yard.